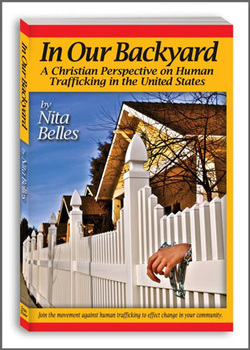 "In Our Backyard, a Christian Perspective on Human Trafficking in the United States is a real-life thriller-meets-action-packed documentary. It contains vivid, disturbing examples and practical action steps that any follower of Jesus should take very seriously. The book is a clarion call to the Church to open her eyes and realize the extent and severity of the issue we’re facing. "